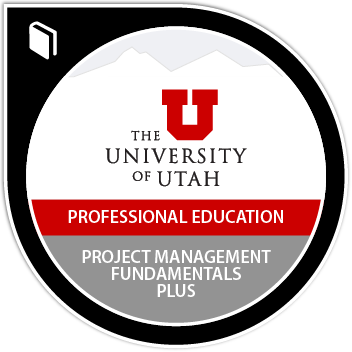 Those who have earned the University of Utah Project Management Fundamentals Plus Micro-certificate have been introduced to principles and concepts that form the foundation of Project Management. They have demonstrated an understanding of project management terminology and the 5 project management process groups: initiating, planning, executing, controlling, and closing. Earners have also learned and practiced project leadership and team building skills. 48 hour micro-certificate. This program complies with standards set by the Project Management Institute (PMI).